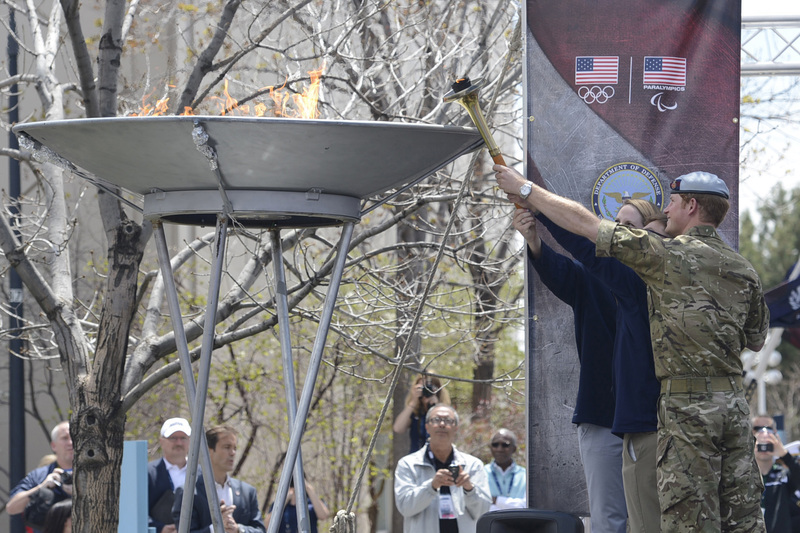 Lt. Brad Snyder, a former explosive ordnance disposal technician blinded by a blast in Afghanistan, lit the cauldron during the 2013 Warrior Games opening ceremony May 11. At the 2012 Warrior Games, Snyder won four gold medals in swimming and three gold medals in track and field events. Later that year, he went on to win two gold and one silver medal in swimming at the 2012 London Paralympics just one year after the improvised explosive device blinded him in Afghanistan in September 2011. 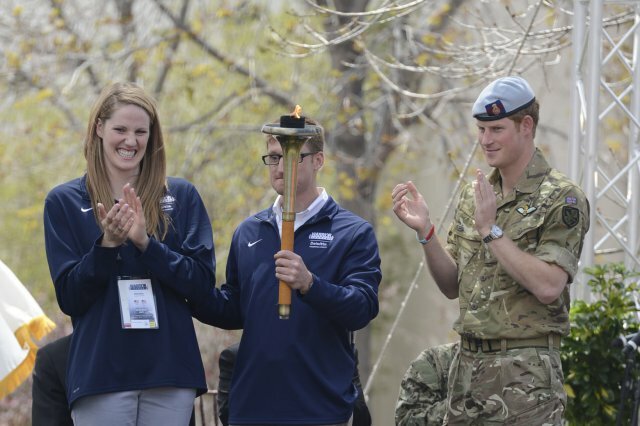 While lighting the Warrior Games flame, Snyder was joined by Missy Franklin, who won four gold medals in swimming at the London Olympics, and Prince Harry, who also visited Arlington National Cemetery in Virginia and Walter Reed National Medical Center Bethesda, Md., during his trip to America.